This document contains detailed information about older car audio amplifiers and a number of other products manufactured by Phoenix Gold. The revolutionary driver, the Cyclone, is also explained. Please feel free to read, distribute, and most of all learn from this information. 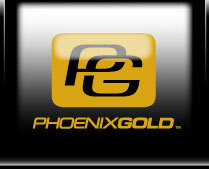 If you have further questions or need more please contact support by using the form located at http://www.phoenixgold.com/2004/techsupport.html.